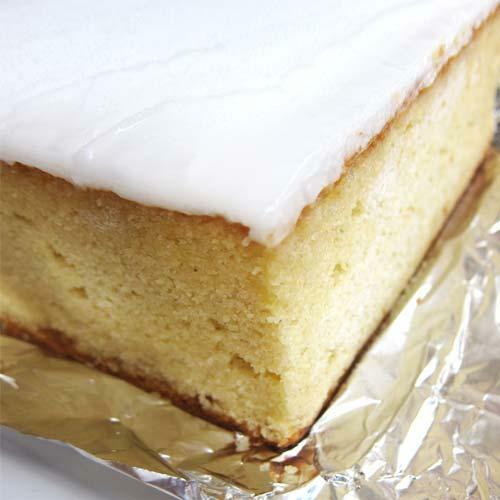 A thin layer of royal icing on top of this moist sugee cake. Sugee cake is an eurasian festive cake. This cake is made with semolina flour which gives it a grainy texture. **For parties/meetings - This cake can be sliced into 16pcs. Please indicate if you would like us to slice it for you.